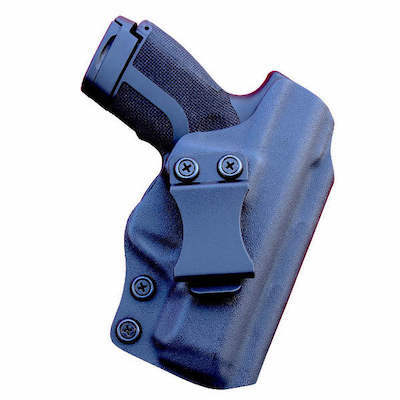 Using the right Ruger Security 9 holsters, concealing this fine pistol is very easy. 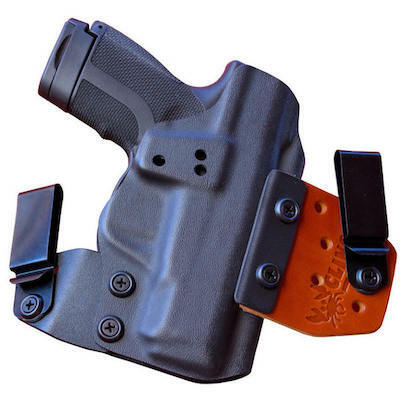 If you’re looking for the best Concealed Carry Holsters, you’re on the right site. Ruger has released the Ruger Security 9 and they’re hoping it catches on with the Concealed Carry crowd. Ruger has taken an interesting marketing strategy with this one. They’ve tried to tick off all the boxes that you would expect from a quality firearm. They don’t pretend to excel in any of the categories either (they leave that task to their Ruger American Pistol line). They just included most features shooters look for in their Concealed Carry pistols. While Ruger didn’t produce any phenomenal upgrades to what the competition offers they did manage to offer a very capable, well-rounded pistol. So what makes the Ruger Security 9 special? Here’s what: You get all the features that matter in a great, modern Concealed Carry pistol for under $300 at your local guns store. A Glock 19 or a S&W M&P9 2.0 Compact might be a bit better than the Security 9…maybe. But are those guns $200 better. Probably not. The Security 9 is the gun for Concealed Carriers who want a reliable pistol from a good brand that shoots great, conceals well, has plenty of firepower, and has all the features the other brands have but is also affordable. There are plenty of budget guns on the market. However, their reliability and quality can be very questionable in some cases. There are plenty of videos on YouTube showcasing the flaws of these “budget guns”. Often times, someone is tempted to buy a cheap gun so that they have one for those “just in case” scenarios. They might throw it in a glove box on a road trip for instance. 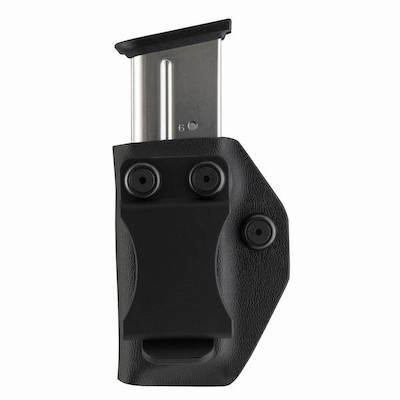 By the way, do yourself a favor and look at Ruger Security 9 holsters with a small footprint (like Clinger Holsters). That’ll allow you to keep the gun in its holster in the glovebox. Ruger will definitely make life harder on those third rate gun manufacturers now that people now have an option to buy a quality handgun at the same price. Let’s not kid ourselves. Ruger makes quality stuff. They are known for making rugged firearms for a reason. They overbuild their pistols to ensure a long service life. Ruger positioned this as a competitor to the Glock 19 & the Smith and Wesson M&P9 M2.0 Compact (which is also aimed at the Glock 19). It’s bigger than a compact pistol but smaller than a full-size pistol. The Glock 19 is one of the most popular handguns in America for not only Concealed Carry but also for the gun range, shooting competitions, night stands, and glove boxes. People love the size and capacity of it. 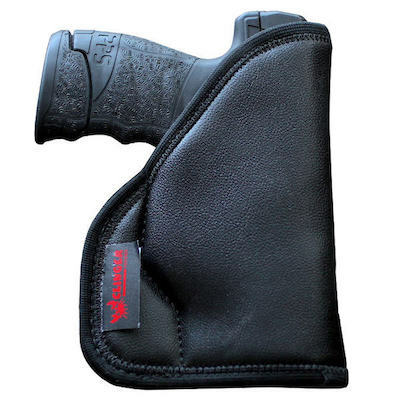 It holds 15 rounds of 9mm, has a 4” barrel, weight of just 23 ounces, and a grip short enough to carry concealed. The Glock 19 is basically a well-rounded gun that can fit almost any situation. While a bigger gun would do better on the range, the Glock 19 is big enough to excel there as well. While a smaller gun conceals better, the Glock 19’s height and weight allow it to perform just fine for Concealed Carry too (with twice the capacity to boot). Ruger sees the sales numbers Glock has stacked up over the years for the Glock 19 and likes what it sees. Enter the Ruger Security 9. It’s very close in dimensions and weight. It matches the Glock 19’s capacity too. The Ruger Security 9 can definitely fill all the roles shooters have relied on the Glock 19 to fill over the last few years. One word: great. Did you expect different from a sub $300 gun? Well this one will shock you. The trigger is great, the sights are great, the reliability is great. Pretty much everything is…great. For under $300! 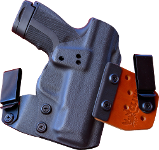 You’ll have less money invested even after buying your Ruger Security 9 holsters and other accessories than you would end up spending on a Glock. The rack was very easy to rack. That’s not something you see on many pistols these days. It seems many gun manufactures are making the recoil springs stiffer to help tame recoil. This usually makes the gun harder to rack. That’s fine on the range but in a life and death scenario, a bloody pistol is exponentially harder to rack. Any help here is welcome. Ruger calls the action on the Security 9 “Secure Action”. They already use it on the LCP II. It was derived from the LCP which is hammer-fired. It has a smooth trigger with a short & crisp feel. Plus it has the positive reset of a single action. The recoil is typical for a gun of this size. That is to say that it is easier to control than a single stack nine but not as soft shooting as full-size metal-framed pistol. Bottom line: it’s quite easy to shoot and quickly reacquire your target quickly. Here’s another nice feature: the rear sight is drift adjustable. You’ll like these sights by the way. The 3 dot sights line up fast and easy. The fit and finish aren’t what you’d see on a $1200 Sig (obviously). Fit and finish on this gun are on par with and in some cases better than its competitors. It has an aluminum chassis and full-length guide rails under the hood. There are no harsh mold lines in the polymer frame. The gun as a whole seems well polished and put together. When you pick it up, it feels and looks great. It absolutely seems like a nice pistol inside and out. The ergonomics on pistols have improved drastically over the past few years. No longer are pistol grips shaped like the original Nintendo controller (square with hard angles). The Ruger Security 9 is no exception to the recent renaissance in pistol ergonomics. It feels great in the hand. The stippling is aggressive enough to give you a great grip during a string of rapid fire lead slinging. Yet, it’s not so aggressive that it hurts your skin during Concealed Carry in your Ruger Security 9 holsters. Ruger loves to ship pistols with a manual safety. You’ll find one here too. The trigger is bladed. This keeps the trigger from actuating the hammer unless it is pressed from the center. Here’s a safety feature that gives you peace of mind: the Security 9 was designed with a hammer catch. This feature helps prevent the hammer from contacting the firing pin. This is a viable option for a reliable Concealed Carry pistol. The fact that it’s so affordable is just icing on the cake. Ruger has droves of dedicated followers because of their reputation for building “rugged” firearms. The Ruger Security 9 is no exception. 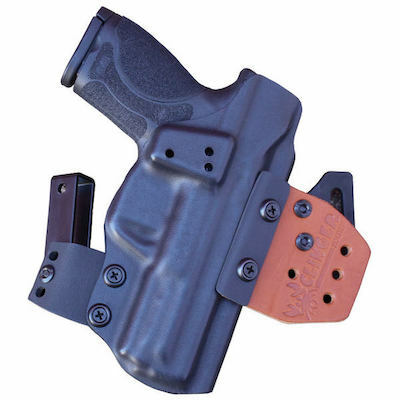 You’ll get a great pistol with plenty of firepower that is easily concealed. It has all the features you’ll want and a price you’ll appreciate. If you want a pistol that checks all the boxes that a modern Concealed Carry pistol should, get this gun. 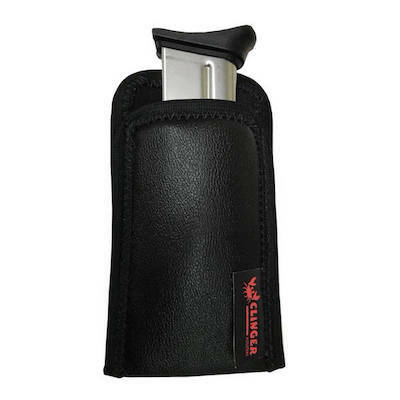 And if you want the best Concealed Carry setup possible, get your Ruger Security 9 holsters from Clinger Holsters.